While there is no specific legislative language concerning K-12 distance, the Department of Education and Early Childhood Development defines distance learning as the delivery of a course where the teacher responsible for assessment and instruction is in a location physically remote from the student. Online teachers communicate with the school to relay information about student progress. Both the Anglophone and Francophone sectors of the Department of Education and Early Childhood Development manage their own K-12 distance learning programs. These programs are funded through the Department directly, and are provided at no cost to schools or districts. The Department has published policy handbooks and web resources, different for both the English and French programs, which outline who can take distance courses, list the courses offered, describe the registration process, and outline duties of each role in the process. The two distance learning programs service secondary students in New Brunswick in either of the province’s two official languages. Both distance and blended courses use content created by the department and information is recorded in a learning portal, which records information about courses taken, school of origin and basic student demographic information. Some additional registrations, such as adult upgraders, are manually recorded, but not tracked with the same level of detail. During the 2017-18 school year, there were approximately 2,000 regular students enrolled in the Anglophone program, while there 1,239 students enrolled in the Francophone program. While only representing 2%-3% of total distance enrollments, there is a continued increase in participation in the online First Nations language courses, with new intermediate level courses rolled out during the 2017-2018 school year. Also in the past year, the Department partnered with First Nation communities to make these language courses available to community members. Additionally, there are a limited number of cases where schools will use school-to-school distance learning to connect small groups of students (e.g., a student needing Advanced Calculus where it isn’t offered). These enrollments are not tracked, but the Department will provide advice and support if requested. Finally, the Anglophone sector has begun exploring opportunities for students in mentorship/virtual-coop. In a virtual coop placement, students work from the school (as opposed an offsite placement at a worksite) and meet with mentors online a few times each week. This allows students in smaller, more rural communities to engage in coop opportunities that would otherwise be unavailable to them. Early feedback has been positive and requests for placements are on the increase. The Department of Education and Early Childhood Development defines blended learning as the use of online and distance learning resources to support a teacher delivering a course onsite to students. Students continue to have access to the online material outside of class time for independent work. The content that has been created for all of the distance learning courses is available to all teachers in the province as a professional learning resource. During the 2017-18 school year there were approximately 3,000 English and approximately 4,000 French face-to-face students registered in the learning management system using online courses in a more blended learning model under the direction of their local school’s classroom teachers. Also, teachers have the option to use distance learning courses as a professional learning resource – where the teacher has direct access to online course content, but students do not. Approximately 170 teachers enrolled in courses in this capacity during the 2017-18 school year. Finally, the grade 9 and 10 Broad Based Technology courses have provided a blended learning website since 2007. Beyond the number of page views, there is minimal tracking of the usage of these resources. It should be noted that the Department only tracks participation in the blended learning courses it provides centrally. Other blended learning solutions implemented by teachers and schools are not tracked. Since its inception in 2001, the distance learning program has evolved to offer over 40 courses online with an additional 10 as a F2F resource. Initially based on the WebCT platform, by 2008-09, the program was staffed by 20 teachers and served more than 4000 students and teachers. In the following year restructuring saw the program contract to half that size, and with a shifted focus to core courses and supplemental support. Since then, the program has grown to be supported by 14 teachers, and offers a diverse mix of courses that are able to satisfy the province’s graduation requirements. Almost since the beginning, the program has offered a Mi’kmaq language course and supplemental materials for Wolastoqey. In 2015-16, both languages saw the release of new courses so that both of the province’s First Nations groups can have access to language instruction via distance. The program now offers courses in five languages. * Blended program is delivered by local classroom teachers in schools and courses are available to anyone who requests them. 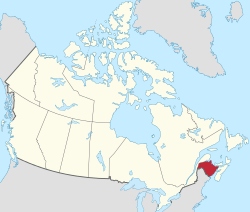 While the graduation requirements for the province are currently under review, for a student in New Brunswick to receive credit for a course taken from an online program in another province or territory the student would need to have enrolled in the course in New Brunswick and been unsuccessful in completing it. In such instances the online course would be considered an independent study course. Students can only have one independent study course count towards their graduation requirements. Approval to apply outside credit for a single course is infrequently sought or approved. The same process applies for a student seeking to obtain credit for a course from an online program in another country. In both cases the curriculum for the course in question would need to be reviewed and approved, typically in advance of the student beginning the course. In instances where a student living in another province or territory, or another country, took a course from an online program located in New Brunswick, a transcript would be issued by the Ministry and sent to the district or school-based coordinator responsible for the student. Whether the student receives credit for the course is determined by the individual jurisdiction where the student resides. At present both Nova Scotia and Prince Edward Island have agreements in place to allow students to receive credit for courses taken through New Brunswick’s French language distance education program. Typically a review of the New Brunswick curriculum is carried out first by the school authority interested to ensure the student would receive credit should they complete the course (in much the same fashion that New Brunswick reviews the curriculum of other programs before granting credit to students who wish to take courses from other jurisdictions).